Alliance Environmental Group, Inc. is proud to announce that it has acquired AMP Abatement, a local leader in asbestos and lead abatement based in San Diego, CA. 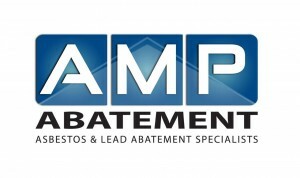 In San Diego, AMP Abatement has worked exclusively with adjusters and insurance carriers for their asbestos and lead abatement projects. AMP Abatement will continue to retain its brand identity. We know you will join us in welcoming AMP Abatement into the Alliance Environmental Group family! And have a great--and safe--weekend!